We understand the stress teachers experience when they are planning for camps and the huge amount of paperwork and regulation that is involved in the process. We want to make planning and coming on camp just as enjoyable for the teachers as it is for the students so we have tried our best to make the process streamlined and simple. Blue Lagoon staff are all highly trained and have had extensive experience in youth camps over many years. All of our staff receive First Aid training and are qualified in at least Level 2 First Aid, have Working With Vulnerable People Checks and hold food handling certifications. We understand that going on camp is becoming a difficult event for teachers. It eats into the time you have to get through the curriculum, there is a lot of policy surrounding your approval to go on camp and is a physically tiring experience. We want to make this time as beneficial and as enjoyable as possible for all our teachers and students who come to stay. Blue Lagoon is a NARTA accredited site and offers fully programmed camps. Talk to us about the curriculum outcomes you need your camp to cover and we will let you know how we can tailor your time at camp to suit. We are happy to put together your program for you or help you to adapt your current program to create a great experience for both you and your students. Blue Lagoon has a broad range of activities available both onsite and offsite. We are able to tailor a program to suit your curriculum outcomes that can be both educational and enjoyable for both the teachers and the students. Have a look at our Activities page to see what sort of activities you could incorporate into your camp program. Some of these activities do require adult supervision and will be supervised by either camp staff, teachers or parent helpers. All activities are facilitated by our trained and qualified camp staff or through fully qualified external providers. During the warmer months Blue Lagoon runs water sports sessions including Tubing, Water Skiing, Kneeboarding and Wakeboarding with a fully accredited Australian Waterski and Wakeboard Federation Instructor. Due to it's convenient location, Blue Lagoon makes a terrific base camp from which you can conduct day trips to various locations in Southern Tasmania. We are less than an hour's drive from Richmond, Port Arthur and Hobart as well as other historic and recreational facilities. We have put together a page of the most popular offsite destinations for schools to visit to help you to plan for your camp. 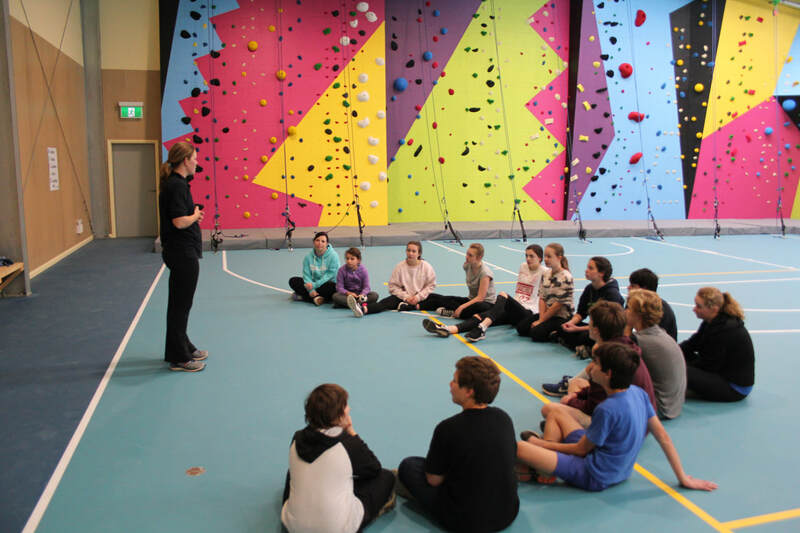 We welcome a range of local and interstate schools throughout the year and can help you as much or as little as you need with the logistics and planning of your camp. We have a great working relationship with our local coach services and we are happy to arrange transport for you camp if it is required. Airport transfers are also available through local coach services from both Devonport and Hobart Airports to Blue Lagoon as well as the from the Spirit of Tasmania. Blue Lagoon Christian Camp is an authorised agent for Jet Star Airlines. We can organise your complete school camp, flights, transfers, tours, program, accommodation and meals.